WIN a stay in a brand new glamping sensation - the Sky-Pod! 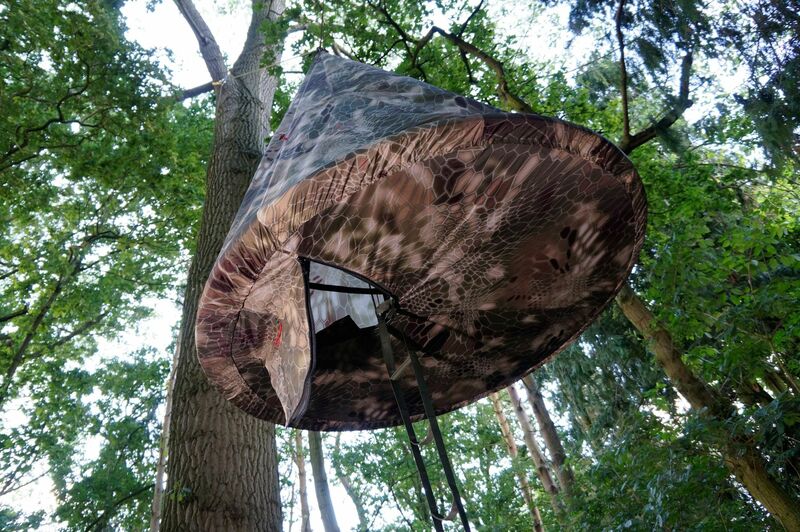 Sky-Pod is a unique and inventive hanging tree tent offering the chance to experience the great outdoors in a whole new way. Leave your cares behind and spend two peaceful nights suspended blissfully under the forest canopy. 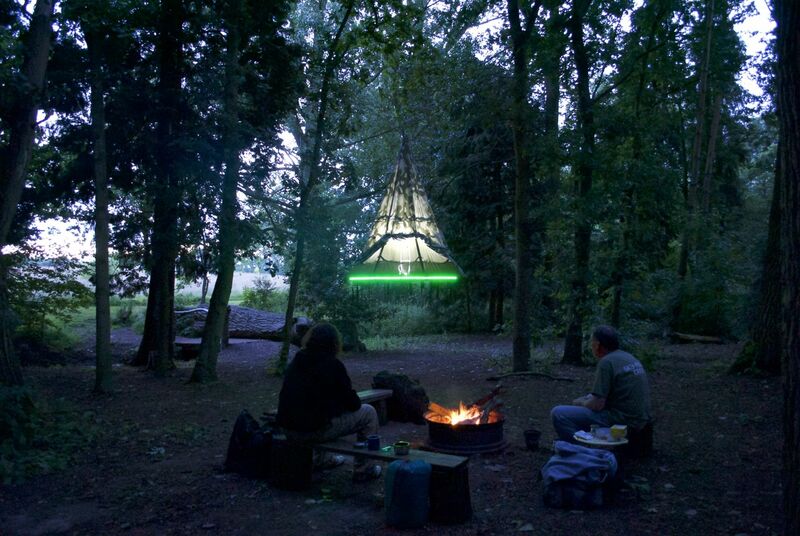 Whether you are relaxing during the day or camping out at night, the combination of Sky-Pod's innovative single point hanging and creative configurations offer a therapeutic journey with nature that's too good to miss. 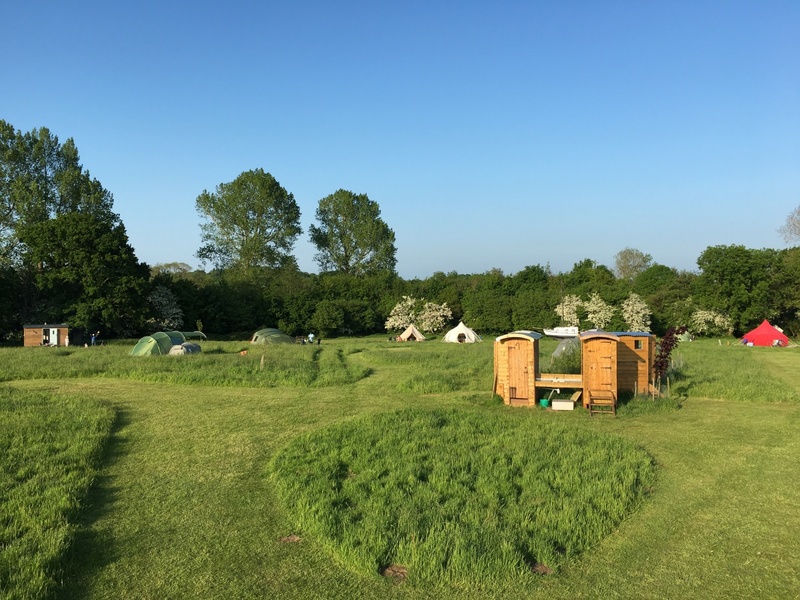 If you'd like to be one of the first to experience this unique glamping accommodation, enter our competition and you could win a 2 night stay for two, hosted at the beautiful Wardley Hill Campsite, a rustic six-acre ecological campsite in the Waveney Valley, Norfolk. This peaceful, laid-back and eco-friendly site boasts a woodland full of wild sweet-scented foliage, a small stream and seasonal ponds. There are composting toilets made from reclaimed timber, a waterless urinal, recycling facilities and an open-topped shower with plenty of piping hot water, allowing you to enjoy nature whilst keeping your carbon footprint to a minimum! Enter our competition to win an exclusive glamping stay in a brand new Sky-Pod at Wardley Hill Campsite. Would you like to subscribe to Host Unusual and Wardley Hill Campsite emails for news, offers and updates? Competition closes on 3rd August 2018 and the winner will be picked and notified by email within 3 working days. The prize is for a 2 night stay for two guests over 18 years of age in a Sky-Pod at Wardley Hill Campsite, during the dates of 6th August and 2nd September 2018. Guests must bring everything they would bring on a camping trip (except the tent!). Entrants must be over 18, only those over the age of 18 may stay in the Sky-Pod. No pets/children. Communal toilet & shower facilities are available onsite. Please visit Wardley Hill Campsite's website for more information about the site and its facilities. The winner may redeem their stay on any 2 consecutive days throughout August 2018, up to and including the first weekend in September. By entering this competition you agree to be bound by these terms and conditions. Any information or instructions published by Host Unusual on hostunusual.com or our social media channels forms part of these terms and conditions. Host Unusual shall not be liable for any interruption to this competition, whether due to force majeure or other factors beyond our control. Entrants must residents of Great Britain and Northern Ireland and be over 18 years of age, and only those over the age of 18 may stay in the Sky-Pod. Participants may enter the competition online at hostunusual.com. Entry is free and participants may only enter once. Please note that if entrants tick the opt-in box to receive updates from Host Unusual and Wardley Hill Campsite your details will be shared between Host Unusual and Wardley Hill only, and your details will be entered onto both databases. You may unsubcribe from either mailing list at any point by following the email links or emailing Host Unusual at hello@hostunusual.com or Wardley Hill Campsite at info@wardleyhillcampsite.com. Any personal data relating to participants will be used solely in accordance with current UK data protection legislation and will not be disclosed to a third party other than those specified above. No responsibility is accepted by the Host Unusual or its associates for lost, delayed or damaged data which occurs during any communication or transmission of entries. Prize is for a 2 night stay for two guests over 18 years of age in a Sky-Pod at Wardley Hill Campsite during the specified dates and the winner will be drawn at random under independent supervision from all valid entries received. The winner will be notified by email within 3 working days and will have 7 days from the date the email notification was sent to claim their prize. In the event that a winner is unreachable, ineligible, or fails to claim the prize in the time required the winner shall forfeit their prize and the Host Unusual reserves the right to offer the prize to another participant of the competition. Host Unusual reserves the rights to vary these terms and conditions or cancel the competition at any stage in the event of circumstances arising beyond its control. By entering the competition, entrants will be deemed to be bound by and have accepted these terms and conditions, and Host Unusual reserves the right to disqualify participants who it considers to have not complied with any of these terms and conditions; or any participant who it reasonably believes has interfered with the fair running of this Promotion. This prize draw will be governed by and construed in accordance with the laws of England and Wales. By participating the participants agree that any and all disputes regarding this competition will be subject to the jurisdiction of the English courts.